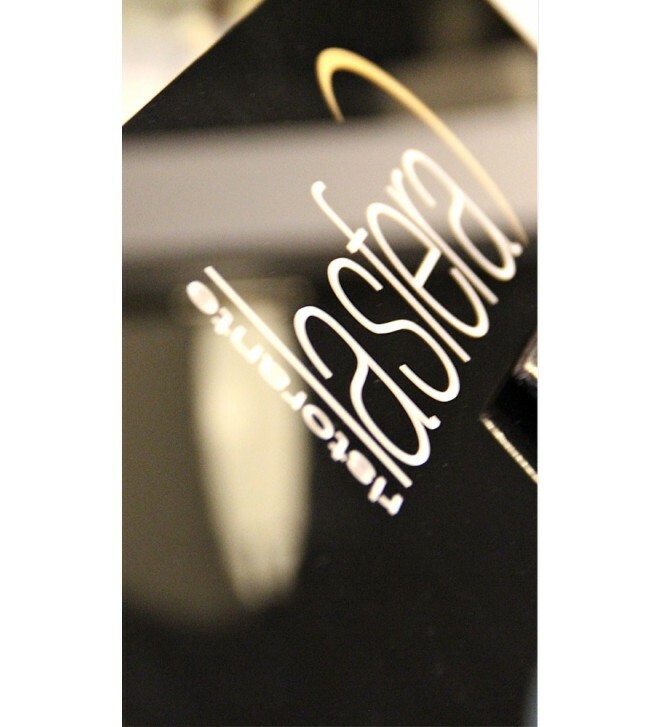 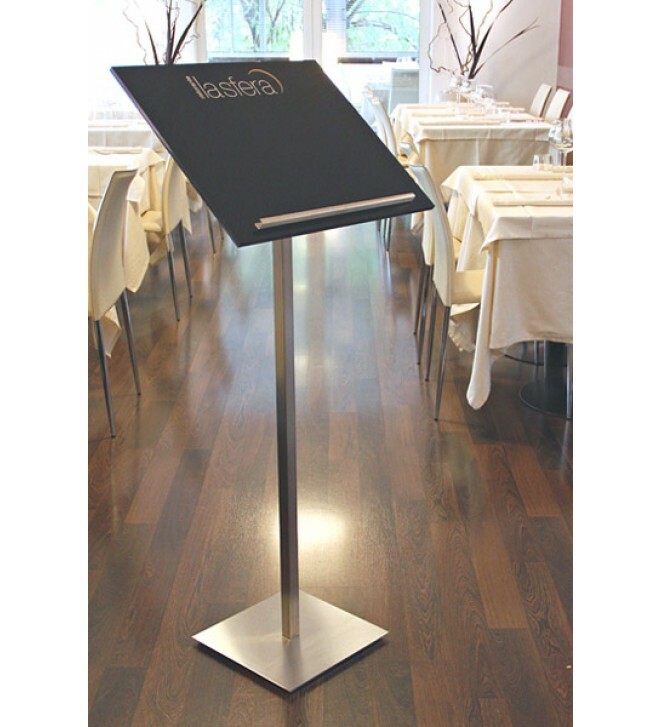 Stand topped with display panel suitable for posting the day’s menu in the restaurant. 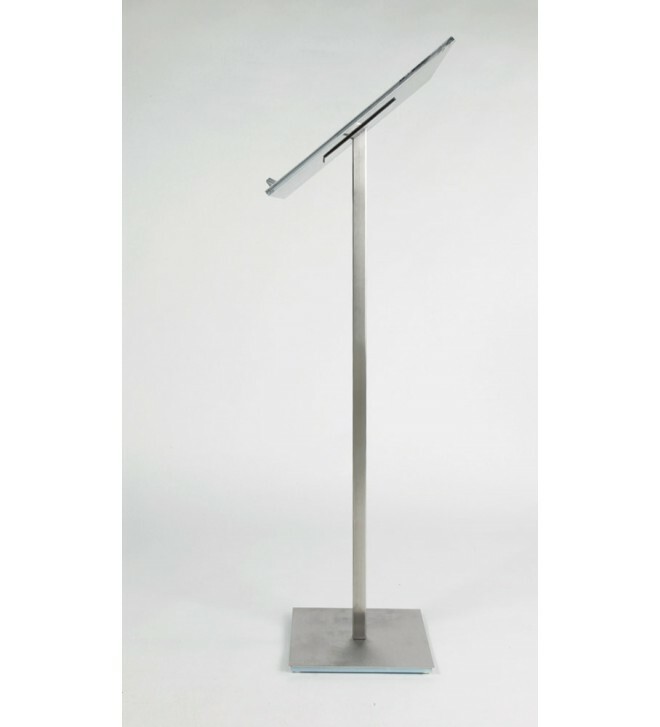 The base of the stand can be carried out in steel, brass or painted in the colour of your choice. 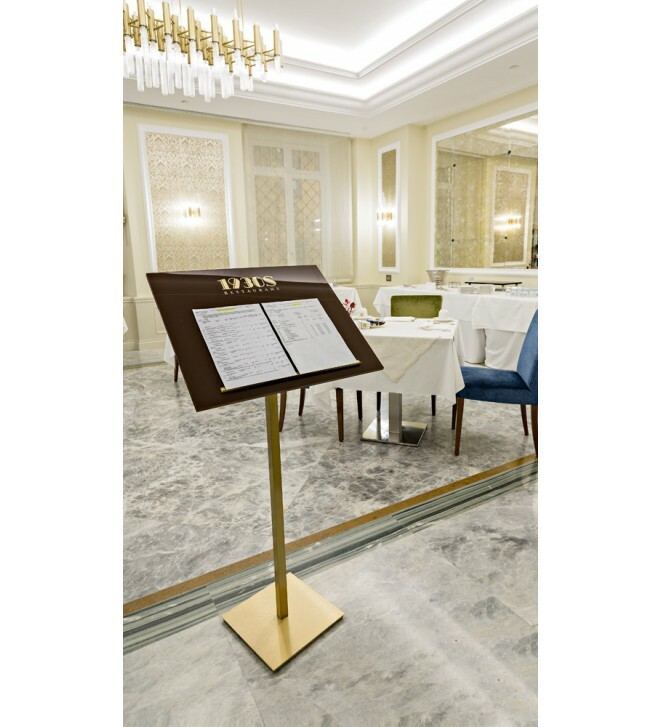 It is also possible to personalize this menu holder for restaurants with your logo.